Picking a college can be an overwhelming task. Luckily there are many online resources to help you decide on the best option for you. We've also done some of the legwork for you by interviewing past graduates, teachers, and counselors. Below is a small recap of what they suggest you do when deciding on a college that's right for you. 2. Make a list of college choices that meet the criteria above. 3. Is financial aid a major factor in your decision? Take into consideration what the tuition is, what the college is willing to give you, and what your parents are able to afford. Remember, out of state tuition is a lot more than in-state tuition. If the money offered from your first choice schools aren't as good as the others, call their financial aid office and use the other offers as leverage to ask for more financial aid. Ask your counselors, teachers, parents, and recent graduates whom are attending college about their thoughts on your college choices. Get their input but don't forget to listen to your own gut! Visit schools when you start to narrow down your choices. Visit some colleges on one of their "Pre-Admit Days." Just remember that you will be talking to a student representative who is trying to recruit you and show the school in a positive light. To get a true feel for the school, attend a class, spend the night in a dorm, and ask students that you see on campus about the pro's and con's of the school. It sounds simple but once you have narrowed down your choices to a handful of schools, simply create a pros and cons list for the schools. The school that has the most pros and the least cons is probably your best bet. Visualization is a powerful tool. Picture yourself walking around your chosen school, going to class, socializing, attending campus functions, eating, studying, and sleeping in the dorms. Which school feels the most comfortable to you? In the end, we all want to get it right on the first try but sometimes people realize that they did not make a good choice in selecting their school. Don't sweat it! Just stick it out for the year and use your desire to change schools as a motivator to study hard, get good grades, and transfer your core credits to another school next year. As long as you are not involved in sports, there is usually no harm in doing so. Click the button below for an excellent "College Search" webpage sponsored by Big Future. It allows you to pick specific criteria regarding what you are looking for in a college, then gives you results that match the criteria you selected. Though many schools require you to take core classes that can receive credit from a multitude of degree programs, it is never too early to start thinking about your intended degree and future career path. 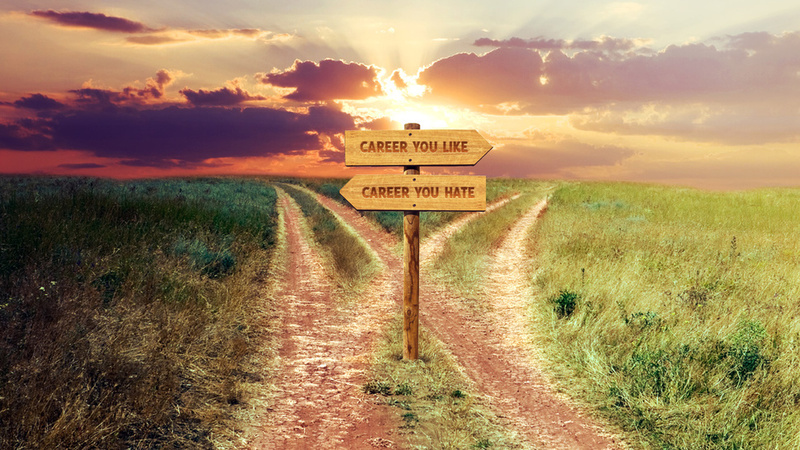 Your career path just might be the final decision making component that goes into picking the right school so choose wisely. Get an internship! Learning by doing will always be better than learning by textbook. Expose yourself to the career that you wish to pursue while in college. Don't let anybody crush your dreams. Just know that the riskier your dream job is, the better your back up plan needs to be. While we're at it...HAVE A BACK UP PLAN! You are only young once so take a chance on your dream but always remember to strive for the best and prepare for the worst. Do you want to be your own boss? Do you like the stability of a constant paycheck? Figure out how much of a financial risk taker you are so that you can find a career that fits your personality. Network and interview people who are in your chosen career path. Ask for honest feedback and prepare yourself for things you may not want to hear. Find out what you love then find out a way to get paid for doing it! Assess what you are good at and see if there is a career available that matches those assets.